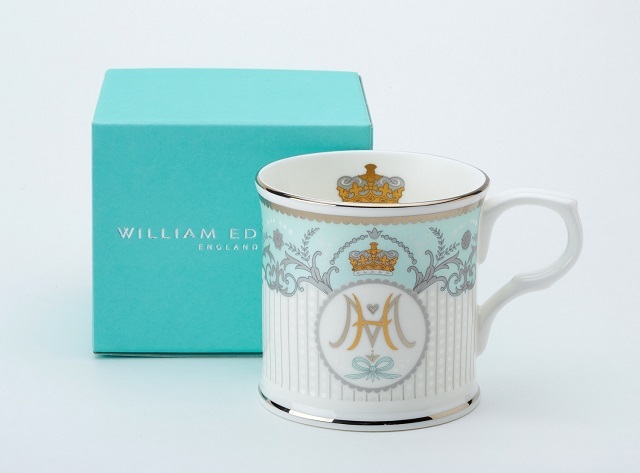 Blog :: WIN a Royal Wedding Mug for you & a Friend! Home/Blog/WIN a Royal Wedding Mug for you & a Friend! 1. The prize of two HRH Harry & Meghan Royal wedding collection mugs is offered to you by William Edwards Limited of Anderton Works, Port Street, Middleport, Stoke-on-Trent, ST6 3PF, company number 08338095 trading as William Edwards Home the “Promoter". 2. The ‘win a limited edition royal wedding mug for you and a friend’ is open to everyone aged 18 or over, except employees of the Promoter, their families, agents or anyone directly associated with the administration of the prize draw. The prize of two mugs includes shipping to the (one) prize winners’ address. 3. The prize draw will open [730pm Tuesday 15 May] and close at [12am GMT on 21 May 2018. You will not be entered into the prize draw after this time. 4. You will be automatically entered into the prize draw when you like our Facebook page and leave a comment telling us who you will share the prize with. 5. The winner will be drawn at random from all valid entries [and supervised by an independent person], and will be notified on Facebook, within two weeks of the closing date. It is your responsibility to check if you are the winner within 14 days of the closing date. 6. The prize cannot be exchanged or refunded and there is no cash alternative. The prize is non-transferrable. 7. The winner must respond to the Promoter’s notification of their prize and provide their valid and up to date email address within one week of the date of the notification otherwise the right to claim the prize will be lost and the Promoter reserves the right to re-award the prize in accordance with the procedure set out above. 8. The winner may be required to take part in post-event publicity which may include the publication of their name and photography in any media. 9. The decision of the Promoter regarding any aspect of the prize draw is final and binding and no correspondence will be entered into. 10. The Promoter reserves the right to hold void, cancel, suspend or amend the promotion where it becomes necessary to do so. 11. The prize draw will be governed by English law and entrants to the prize draw submit to the jurisdiction of the English Courts. There are various kinds of sports pictures and various video clips. You can watch soccer, hockey, basketball, volleyball, and various sports games for free. I share various information where I can watch free sports and watch 오전 family movies for free.